Check out the links above for the most-searched for information, or browse the categories and tags on the right! Contact us at bangorbaby AT gmail DOT com. Car seat safety is big news this week, with the AAP recommending that babies under 2 remain rear-facing, that kids stay in 5 pt harnesses longer, and that children under 13 always use the backseat. One thing I’ve noticed in the discussions around this is that some people are confused about the rear-facing thing (in particular) — they are not recommending that children stay in infant carrier/bucket style seats, but that they use a convertible seat, one that can be faced forward after the child is big enough. In our family, we’ve been following these guidelines for a few years — our almost 5 year old rear faced until the limit of the seat, at 2.5 (in a convertible seat, we don’t use the bucket style at all) and then when her sister came along, the baby took over the convertible seats, and we put the big kid in a seat that has a 5 point harness, but doesn’t look ‘babyish.’ And for those who think forward-facing is easier, in our case, it wasn’t that great a switch — her view was worse (we have a station wagon) and suddenly, she could kick our seats! If you are looking for more info, google ‘extended rear facing‘ and you’ll find lots of answers to your questions. For us, it was a simple decision — it wasn’t an inconvenience, and it gave us peace of mind. And our front seatbacks were a LOT cleaner back then. It’s that time of year! In Maine, Pre-K students must be 4 by October 15, 2011, and K students must be 5 by that date to attend public elementary schools. A birth certificate, immunization record, and proof of residency are required for registration, and check with your school as they may have specific needs. Not all schools in the area offer Pre-K, and many Pre-K programs have limited space. Bangor is the only area school district to have neighborhood schools, all other towns have just one location for PreK/Kindergarten programs. The attendance directory has been updated for 2011, and you can find that and the current map (I didn’t see any changes from last year aside from additions based on new subdivisions) on our Schools page. Registration is for parents only; students will have an orientation later in the year. You can find more information at the school department’s site. February 11, 9:30-2pm, McGraw Elementary School. March 10, 1:30-6pm, by appointment only. Call 866-2151 or 866-4141 between the hours of: 8:30 am – 3:00 pm for more information. February 14, 2011 8am-7pm, Leroy H. Smith School Library. The following towns have no public dates announced. 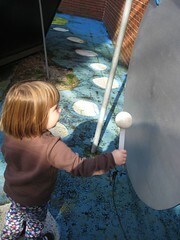 Monday-Friday, 9:30-11 Free, drop-in playtime for 0-4 year olds. 10-11am, ages 2-4 $32 members, $38 nonmembers. Registration required. Sundays, 1:50-2:50, Sawyer Arena. Registration required. $70, residents, $75 NR. At the time of this post, the dance has sold out! Anah Shrine Mini-bikes Family Valentine’s Dance, Shrine Hall, Bangor. Unitarian-Universalist Society Family Valentine’s Dance, 120 Park Street, Bangor. Music Time with Julie, Central Street Farmhouse 10:30-11. K-5 students will enjoy a full day of fun and games at the Parks & Rec building. $20/day for residents, $25/day for non-residents, and registration is required. The CLC will offer a full week of activities for kids K-8. Preregistration is required, and you can choose individual days or programs, or get a discount for a full week of camp, $220. BPL will have special events each day during vacation week! Join FPAC Director Matt Dubel for a morning of solving mysteries in the forest. $8/member family, $10/nonmembers. Free open gym! 12-2 for grades K-5, and 2:30-4:30 for grades 6-8. Parents must accompany the younger group. 6-8pm, for grades 2-5 Free, registration required. 6-7pm, topic: Simplicity parenting, finding our way out of a consumer culture. 6-7pm Touch and try on a variety of carriers for your baby! 1-2pm, $10 per family, registration required. Maine Discovery Museum is open from 9:30-5:30! 1-2:30 pm, fees vary, registration required. 10:30 am, and 7pm, ticket prices vary. Save $32 on an all day lift ticket, or get a full learn to ski (or snowboard) package for $65. Contact Parks & Rec for more info. 5-8:30 Parent’s Night Out, Bangor Parks & Rec. $6 Bangor residents, $10, non-residents. 9am-11am Breakfast with the Claus‘, Bangor Grange, 1192 Ohio Street. Gift bags for kids, crafts, photo op. Suggested donation of $3 adult, $2 child, or $8 for family of four or more. 11am-4pm Art Factory, 40 Harlow Street. University of Maine Museum of Art will have various art projects for kids to make — for free! 11am-4pm Santa’s Workshop, 20 Broad Street. Meet Santa in the lobby of the Charles Inn. Bring your own camera for the photo op. Noon- 3pm Santa Scavenger Hunt. Start and end at Santa’s Workshop. The scavenger hunt is designed for younger children and all hunters will receive a prize. 1pm-6pm Downtown Holiday Marketplace, 40 Harlow Street. Small business and crafters will have their wares on sale in the UMMA/EMDC building. 3:30-4:30 Cookies & Cocoa, Maine Discovery Museum. The MDM will close early (3pm) but the lobby will be open for free cookies and cocoa as families wait for the parade to begin. 4:30pm Festival of Lights parade. The annual holiday parade will wind through downtown Bangor, and immediately after, the Tree Lighting will take place in West Market Square. 7pm The Velveteen Rabbit. Penobscot Theatre. Toys come to live in this classic story, playing all month at the Penobscot Theatre. Visit their site for times and tickets. 5:30pm Gingerbread Housebuilding workshop, Bangor Parks & Rec Center. Kids ages 5-12 can build their own gingerbread house and take it home! $6 for Bangor residents, $9 for non-residents. Noon-4pm Santa’s Workshop, 20 Broad Street. Meet Santa in the lobby of the Charles Inn. Bring your own camera for the photo op. 5-6pm Skate with the Bears, Alfond Arena, Orono. The Friends of Maine Hockey present this free family event, which is a great opportunity for fans of all ages to meet the players and have their picture taken. 5-8:30 Parents’ Night Out, Bangor Parks & Rec. $6 Bangor residents, $10, non-residents. 5:30-9 Holiday Parents’ Night Out, Maine Discovery Museum. Pizza dinner, playtime, and crafts. 24/member-child; $28/non-member child; siblings half-price. Ages 4+. Pre-register. 3pm-2011 Downtown Countdown 2011: The Rhythm of Life Specific events TBA. Go ice skating: Sawyer Arena’s open skating schedule is posted. Go swimming: The UMaine Leisure Pool is great for families, and their break hours start December 17. It’s very easy to find parking when students are gone, so break is a perfect time to try the pool if you haven’t before. Give to a child in need: There are many ways to give this holiday season. The Bangor Daily News and Salvation Army allow you to donate money online to the Santa’s Helper fund. Also, this year you can choose a local child from an online Angel Tree, as a partnership between JCPenney and the Salvation Army. (You do NOT need to buy the angel gifts at JCPenney — they are just a sponsor.) I found that searching for a child using Google Chrome didn’t work, but it did work in Safari. You will also find many angel trees around town, which again, choosing a gift with your child probably makes it more tangible than donating money online. 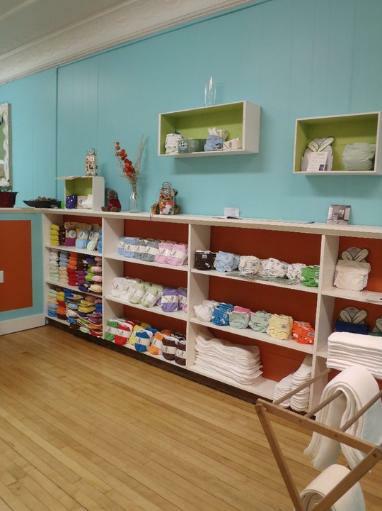 Bangor has had stores that sell baby things, but hasn’t had a store that’s devoted half of it’s floorspace, and half of it’s focus, to baby things — until now. Central Street Farmhouse recently opened at 30-32 Central Street (in typical Bangor directions “the old Alcott Antiques/Sarah’s Books’, you know, down across from the Bagel Shop, I mean, Bagel Central?”) and while the first floor is dedicated to home brewing, the 2nd floor is All About Baby. When I had my first baby, I used cloth diapers, and I used baby carriers, but my sources were the internet — I would peer at YouTube videos as I figured out how to use a wrap, and I would google and research the best way to wash my cloth diapers. (The internet is where I learned that the sun is a natural bleach — diaper stains disappeared after a day on the line, and I took that knowledge and have used it on all kinds of stained laundry since then!) I ordered my goods online, I learned how to use them online, and when I was done with them, I sold them online. How I would have LOVED to have had someone experienced to show me how to use all this stuff, or had a local source for nursing bras, in MY SIZE (one that is not generally carried in local brick and mortars) where I could try different options on instead of throwing darts at a size chart found online. It would have been awesome. In addition to the products, Central Street Farmhouse will be offering a free Music and Storytime every other Tuesday, from 10:30-11, starting December 14, and will be hosting free workshops — Cloth Diapering 101 was earlier this week, or this coming Saturday, there will be a Babywearing workshop at 3. (I’ll be at that one, with the newest Bangor Baby!) And if you can’t make a workshop, the staff are all familiar with the products they sell, and they can help you choose just the right product to meet your need. They even have a certified lactation counselor on staff! And if you’re a nursing mom who is still gaining the confidence to nurse anywere and everywhere, they have a great comfy couch on the 2nd floor if you need a spot downtown to feed your baby in a very breastfeeding-friendly space. In our house, we’ve adopted the Rule of Four, and try to stick to “Something you want, something you need, something to wear, and something to read.” Our kids also get stockings, and of course, gifts from doting grandparents and aunts and uncles, but having the Rule of Four helps keep OUR spending in check. And a favorite gift in our family is the renewal of our Maine Discovery Museum membership — that is one gift that we enjoy year-round, never have to store, find all the pieces to, or trip over, which is always a plus. What are your plans for gift-giving this holiday season? Free! Note the separate times for the two age groups. Also, kids games, ambulance and fire engine tours, free balloons, and other contests! This year’s theme is “Children’s Storybooks.” Local businesses and organizations carve pumpins and set up their own ‘patch,’ and the pumpkins illuminate the auditorium! Lots of kids in costume, and candy being handed out, and the proceeds benefit United Cerebral Palsy. And for everyone, there will be an outdoor market and live music in Pickering Square, as well as some events for the grown-ups that evening. 10/31, 3-5pm, Kidgits Club members get a special treat at center court. And don’t forget your own neighborhood! Halloween is a great evening to walk around and greet the people in your neighborhood (that’s what we’ll be doing!) and for safety tips on traditional trick-or-treating, check this out. Have a safe and happy Halloween! And hey, if I’ve missed an event, comment below or on Facebook, and I’ll add it. What I’m reading, Pt 2. As promised, a loooong time ago, some more of What I’m Reading. Protecting the Gift: Keeping Children and Teenagers Safe (and Parents Sane) , is a GREAT read for teaching kids about their personal safety. (Surprise — it’s not about stranger danger and finding a cop. In fact, it’s about the opposite. The recommendation for a lost kid (from him, which I think is brilliant) is to “find a mom with kids.” Those are a whole lot easier to identify than a cop, especially when you’re four and staring at the hips of every grown-up around. He puts the horror stories we’ve all heard into perspective, so there are horror stories (maybe don’t read it if you are especially sensitive to those, like, oh, after the birth of a child …) but his overarching message is that we only hear about them because they are rare. (He also has a book about adult personal safety, which is just as interesting, in my opinion, but I love that human behavior stuff. That one is The Gift of Fear and Other Survival Signals that Protect Us From Violence . Rounding out the trifecta of “books about letting kids be kids, safely” would be Richard Louv’s Last Child in the Woods: Saving Our Children From Nature-Deficit Disorder . I actually first read this way back in grad school, as part of my research on technology’s impact on community (which, hey, BangorBaby was the product of!) and for someone who, literally, grew up in the actual woods, it was especially meaningful. Living in the big city of Bangor means I’m often looking to recreate some of those rural experiences, which is why you will see my kid turning over rocks and digging up worms, learning to ID trees and birds, and experiencing all four seasons that Maine has to offer. And related to the loss of kids’ experiences with nature, the book The Case Against Homework: How Homework Is Hurting Children and What Parents Can Do About It by Sarah Bennett and Nancy Kalish is a must-read if you are feeling the pressure of homework, especially in lower grades. (Apparently, this is to prepare them for the “next grade, where it gets Important” — but they say that for every grade — so by that logic, I guess I should have the 6 month old start on some busywork now. She’ll only eat them, but we can say that we tried, right?) I’d rather have my kid collecting earthworms in the rain than doing work that has little to no value to her actual life. (Disclaimer: I’m a former teacher who ascribed to this in the classroom as well, and didn’t assign homework then, but made time in class for independent work. Most parents were very appreciative of this.) They also have a website, which is no longer updated, but has a great FAQ and a fact sheet if you are looking for the basics. And how about a few shorter reads? 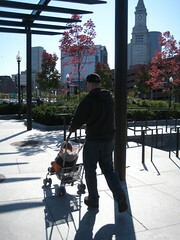 Coming up in a future post: my must-have items for life with baby. Sadly, I can’t link to “an abundant amount of time,” so it might be a week or two. 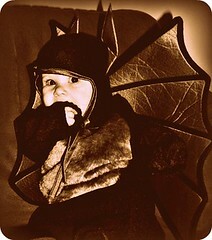 Until then, do you know of a Halloween activity in the Greater Bangor area that other local families should know about? Email me, or comment, or mention it on the Facebook page. Because our summers in Maine are so short, and so glorious, I pretty much don’t want to leave the promise of a cold lake to do something else, but when fall comes, venturing further afield starts to make sense. 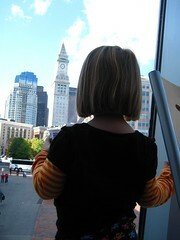 Last year, we took our then 3 year old to Boston for the day, and you couldn’t have planned a more perfect trip. We started on Saturday, and headed to Portland where we visited the Children’s Museum of Maine. The cost? Free — we have a reciprocal membership for the Maine Discovery Museum that grants us free access to hundreds of museums and science centers. Even parking was free (and easy, because it was Saturday) after we got it validated at the museum. We visited with some friends and spent the night at the Best Western Merry Manor Inn — ask the for Welcome Home card, you get a cheaper rate, free breakfast at the attached Governor’s, and after 12 nights at one of the participating hotels (located in Waterville, Bangor, Auburn, and South Portland) you get one free. The South Portland location has a heated indoor/outdoor pool and a small splash pool perfect for toddlers (imagine a backyard wading pool cast in concrete and set into the floor) inside. It’s not the cheapest option, but the three year old thought that swimming under the stars was pretty neat, and it was handy to our morning destination — the train. 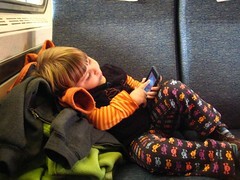 I love trains, and I knew when I had kids, I would want to take the Amtrak Downeaster to Boston, for many reasons. The Downeaster is the most family friendly train I’ve ever been on — there’s food, bathrooms, and more space than a bus or car would provide. There are train hosts whose job it is is to help people figure out where to go next, and you can even buy T fare on the Downeaster, get a simple map, or even just get some advice. It’s great, and lived up to my expectations. My tips are to send one adult down while the other wrangles kids so that you can get a set of four seats that face each other. We’ve tried the traditional configuration, but facing each other trumped having a seatback tray exponentially. I was the scout, and ahd to shrug and smile and say “my family is catching up to me” when people glanced at the “Parties of 3 or More” tag above the seats, but it was worth it to score the choice seat arrangement. Kids are free on Sundays, and we got a discount for buying early and for using our AAA membership. It’s about 2.5 hours each way, but it flew by, and the kid was enthralled. We explored the museum easily without checking the stroller (remember, she’d been asleep when we arrived) because it is much more spacious and roomy than the Aquarium. Once she woke, she walked around and we pushed our stuff in the stroller, just to save time, knowing we had a limited window there. We walked back to North Station, bought a smoothie in the train station and caught our 5pm train, and were back in Bangor by 9:30, exhausted and content.